We are looking for a skilled Data Scientist to join our Data Science team within our Underwriting function. This is a rare and exciting opportunity for someone with a desire to take a leading role in shaping a team at the core of Hastings Direct’s success, through the application of innovative methods working with big data to keep us ahead of the curve. As a disruptive player in what is such a fast moving and challenging market, our market advantage is driven through the cutting edge use of data that we use to optimise our customer pricing. In addition, we drive innovation and R&D within the organisation to demonstrate our bespoke and scalable big data platform. Our aim is to continue being an elite data and analytics leader in the UK general insurance market. If this sparks your interest please do keep reading, you could be just what we are looking for. 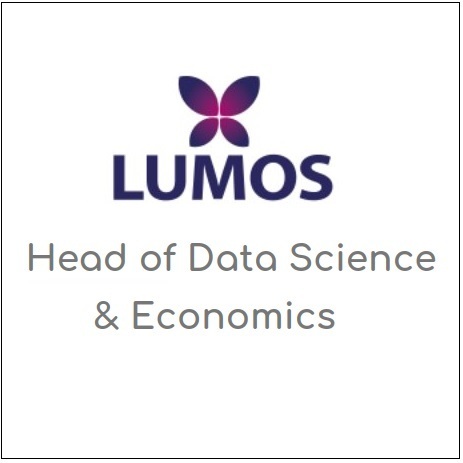 Data Science and analytics is the bedrock of our business, our Data Scientist will lead in the identification and creation of market leading data assets and predictive models which feed into our industry-leading data science & pricing activities. Create our engine for identifying, analysing and monetising every possible data opportunity we can think of. Empower our team to understand and serve the millions of current and potential Hastings customers. Enable us to reach our prospective customers through every available channel, and ensure we are the best and most competitive company no matter how our customers find us. Create intelligent, quality data driven solutions to a range of challenging business problems. Think big, think fast. Our long term goals require turning an immense number of data opportunities into live predictive models, you are ready and able to take on this challenge. Own the problem and be effective and efficient when solving it. You will be the authority on the 80:20 rule, always balancing quality and expediency. Be a true expert in predictive modelling, statistics & machine learning – ML’s not just a buzzword here, it’s what we live, breath and deliver daily. Create the best data models and insights. What we know about our customer is dwarfed by what we don’t know, your job is to change this. Build quality and sustainable processes. We like people who work hard, and we love people who work smart. Demonstrable experience as a data scientist in a commercial or industrial setting. Advanced Degree in a relevant field (e.g. Physics / Engineering / Statistics – PhD a plus). Experience working with big and messy real world data sources. A proven track record of understanding business problems and developing solutions to solve them. The ability to clearly evidence a history of applying descriptive and predictive analytics to drive measurable business value. Experience mentoring junior data scientists and analysts and being a project lead or coach. Our team is our most valuable asset and as a leader it’s up to you to make sure they thrive. Deep understanding of what's "under the hood" of different modelling and machine learning methods (e.g. from classical statistics and regression through to GBMs and XGBoost). Strong data wrangling skills able to create complex but efficient ETL processes with tools like SQL, Hive, or Hadoop. Good coding skills (but we care more about a quality approach than a specific language). The desire to learn & keep up with the latest methods to remain in the forefront of change. Eager to work cross-functionally with data engineers, pricing analysts and software engineers. Experience with the following a plus: Python/R/Spark/Git/H2O/Linux/Hadoop. As a growing business, your role can really help make an impact on both the development and delivery of this function. It will be exciting, busy, varied and challenging so a roll sleeves up, hands-on approach is an absolute must. You are a natural People Leader capable of growing, developing and supporting a team but you are also, an Inspiring Leader, who can set and drive the strategic direction for our company. Natural problem solver who loves building quality solutions to real problems. This is a dynamic, fast paced working environment – applicants should be comfortable working within that setting and demonstrate an enthusiastic & motivated working style. Ownership – wants to own the big problems and won't stop until they are solved.